Name changes are now closed. Yeah it's not technically winter but it's cold and foggy in England today so why not. It's name change time again! As usual this thread is open for a few days before the names can be changed. This gives everyone time to see they are coming, and also some people like to ask for opinions on names so you can post an answer here for that. Sorry everyone, I've been ill the past couple days, plus my reminder didn't work so this completely slipped my mind. Name changes will stay open from now until Tuesday morning (probably around midday GMT). The maximum number of characters for usernames is 20. This includes all letters, numbers, symbols and spaces. 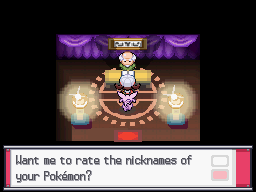 Usernames may not contain 'Pokemaster' or any profanity in them. Sorry for the delay everyone. Changes are now open! Whens the next name change? Can you please just go back to Professor Xerilla and stop poisoning me? Yea I know, I saw it. It was a toss-up between Sir Dragoon and Hydraxorus, but in the end I want to be able to yell "Hail Hydra" when I see you. Turns out he trolled us all and chose a name not on the list. ...What? Your Erapidash is devolving! Congratulations! 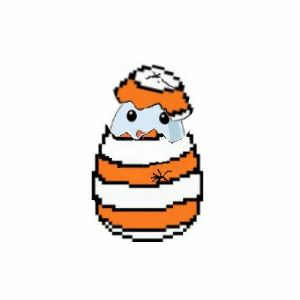 Your Erapidash devolved into Eponyta! My vote goes to Porygon-E.
What...? IceBlueJay is Evolving! (evolution music) Congratulations! Your IceBlueJay evolved into Pikazard! (Walks down Route 55) Jeremiah found a Pikazardite X and Y! Vote which one...X or Y? Oh, no! A wild Tentacruel appeared! "Uh, here, Pikazard take this X stone." Jeremiah used his Mega Bracelet! Pikazard Mega evolved into Mega Pikazard X! Pikazard used Thunderflame! Its Super effective! Pikazard used his signature move, Lava Strike! Pikazard stayed Mega because of gliches in the game. Y, because I don't like the other one. I hate anything to do with Pikachu, except Riachu. keep it as IceBlueJay. why do you always change to something so hateable? "Your answer selected 2 hours ago by a strange stalker." "Asked 20 minutes ago by a strange stalker." "Commented 3 days ago by a strange stalker." I'm reluctant to change my name, but I kind of like Bellawesome. Which do you like better? Tell me in the comments. I love the character Crazy Dave from the plants vs zombies series. I like "Queen of potatoes"
Eeveepdia is no longer Eeveepedia. Eeveepedia is now PrimalEevee because of Gengarchomp. Um, I converted to the wrong part. My bad, we all make mistakes. We are in 2015 so I will have to wait till winter 2015 to change my username,is it? ?